The Donut website ('the website') is provided by Atom Content Marketing Ltd ('Atom', 'we', 'us'). 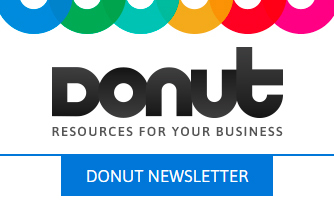 It comprises Start Up Donut, Marketing Donut, Law Donut, Money Donut, Tech Donut, Sectors Donut and Donut newsletters. You may use the contents of the website for your own use, including printing and downloading extracts for your own use. You may not modify, translate, re-publish, upload, sell, or post material (including text, designs, logos, trademarks, code and software). If you wish to make a request for consent to use any content outside these terms, please contact [email protected]. Some parts of the Donut website contain content written by third parties. If you submit content, you agree to only use the website for lawful purposes and that any content or information that you provide to the website will be true and accurate and will not infringe the rights of any third party, nor be obscene, libellous or defamatory. You agree to indemnify us against all liabilities and costs, including legal costs, arising out of your breach of this term. You continue to own the content after you have posted it on the website. Unless otherwise agreed in writing, you automatically grant us a non-exclusive, royalty-free, perpetual licence to modify and use the content that you have posted. We, or our third party licensors, own the copyright and all other intellectual property rights in the content and no licence of any such intellectual property rights is granted to you by way of your use of the website. Donut is a registered trademark of Atom. The Donut website provides business information for small businesses in England and Wales, including legal and tax information. (Some regulations and legal processes may be different in Scotland and Northern Ireland.) Our website and newsletter content should not be used as a substitute for legal or professional advice. All content is made available on this website on an 'as is' basis. We cannot take any responsibility for the consequences of errors or omissions. Any reliance you place on our content will be at your own risk. Atom is not liable for any damage caused by the use of any of the elements of the Donut website. When you access any of the Donut website you indemnify Atom against any damages or loss resulting from use of any of the elements of the website. Neither Atom, nor its employees, experts, writers, editors, advertisers, sponsors or partners are liable for any losses or damages arising from your use of the website. These individuals and organisations exclude all warranties and representations, express or implied, in respect of your use of the website and its content. These terms and your use of the website are governed by English law and any dispute arising from the terms or your use shall be subject to the exclusive jurisdiction of the English courts. The promoter is: Atom Content Marketing Ltd ('Atom', company no. 02784650),5th Floor, DeskLodge, 1 Temple Way, Bristol, BS2 0BY. Employees of Atom or their family members or anyone else connected in any way with the competition or helping to set up the competition shall not be permitted to enter the competition. There is no entry fee and no purchase necessary to enter this competition, but you are required to have signed up to our email mailing list within the last draw period. Route to entry for the competition and details of how to enter are via https://www.startupdonut.co.uk, https://www.marketingdonut.co.uk, https://www.techdonut.co.uk, https://www.moneydonut.co.uk, https://www.lawdonut.co.uk, https://www.sectorsdonut.co.uk or https://www.facebook.com/JoinMyDonut. The prize draw is open to UK entrants only. A winner will be selected at random. Closing date for entry will be 11:59pm on the last day of every month. After this date entries will fall into the next month’s draw. Atom reserves the right to cancel or amend the competition and these terms and conditions without notice in the event of any actual or anticipated breach of any applicable law or regulation or any other event outside Atom's control. Any changes to the competition will be notified to entrants as soon as possible by Atom. The prize is a box of 6 doughnuts. No cash alternative to the prizes will be offered. The prize is not transferable. The winner will be notified by email and/or letter within 28 days of the closing date for the current month. If the winner cannot be contacted, Atom reserves the right to withdraw the prize from the winner and pick a replacement winner. Atom will notify the winner when the prize will be delivered. Atom's decision in respect of all matters to do with the prize draw will be final and no correspondence will be entered into. The prize draw and these terms and conditions will be governed by English law and any disputes will be subject to the exclusive jurisdiction of the courts of England. The winner agrees to the use of his/her name and image in any publicity material. By entering this competition, you agree to be contacted by Atom. Any personal data relating to the winner or any other entrants will be used solely in accordance with current UK data protection legislation and will not be disclosed to any other third party without the entrant's prior consent.